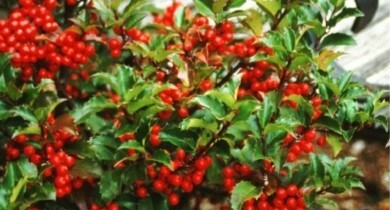 Features: Female holly with dark blue-green evergreen foliage. Abundant dark red berries in fall and winter. Use Blue Prince as the pollinator. Soil: Prefers moist, acidic soils. Protect from winter sun and wind in the north.